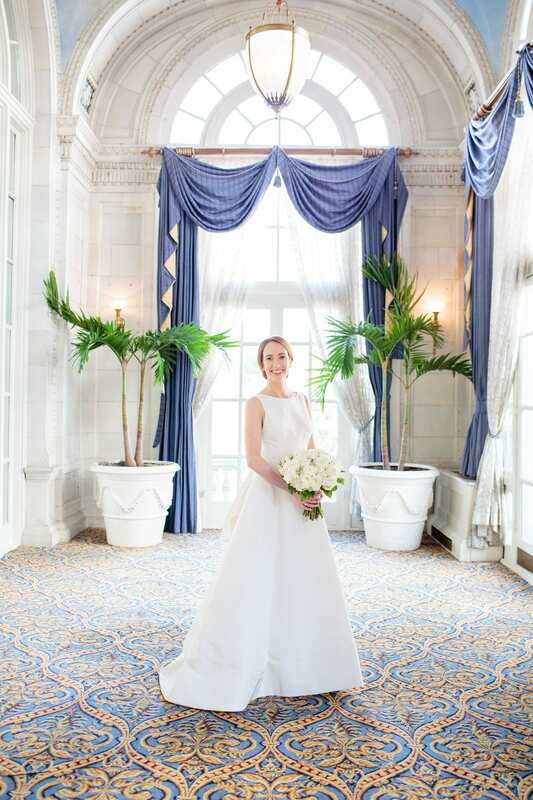 Pastel blues and navy blues mixed with classic white roses and hydrangeas gave this Cheekwood wedding a regal and warm feel. 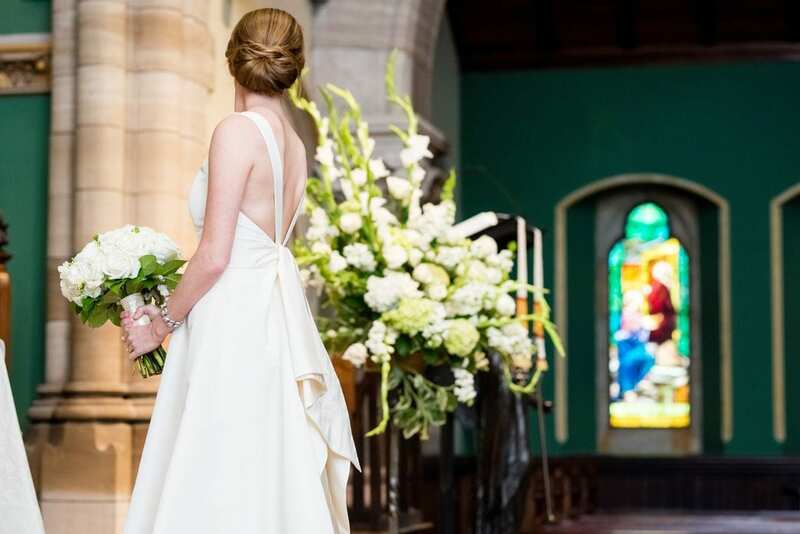 See all the details and wedding flowers from Enchanted Florist. 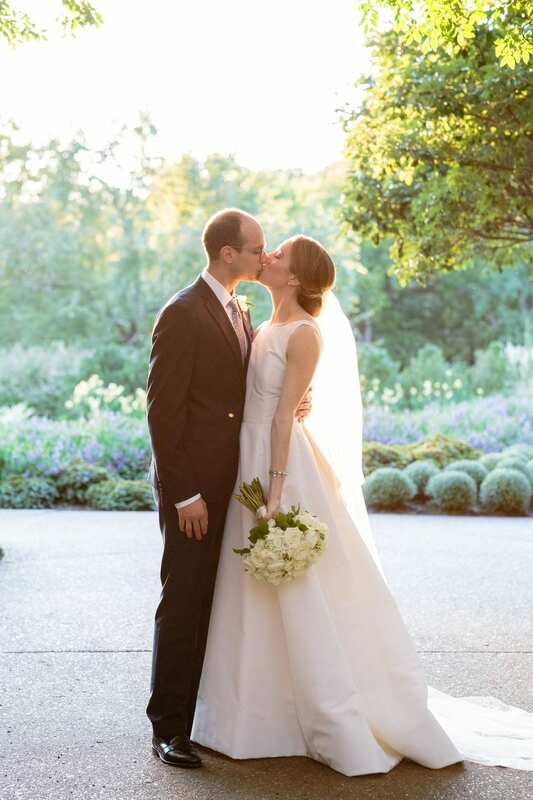 Kaye and Edward were wed at the gorgeous Cheekwood Botanical Gardens here in Nashville TN. 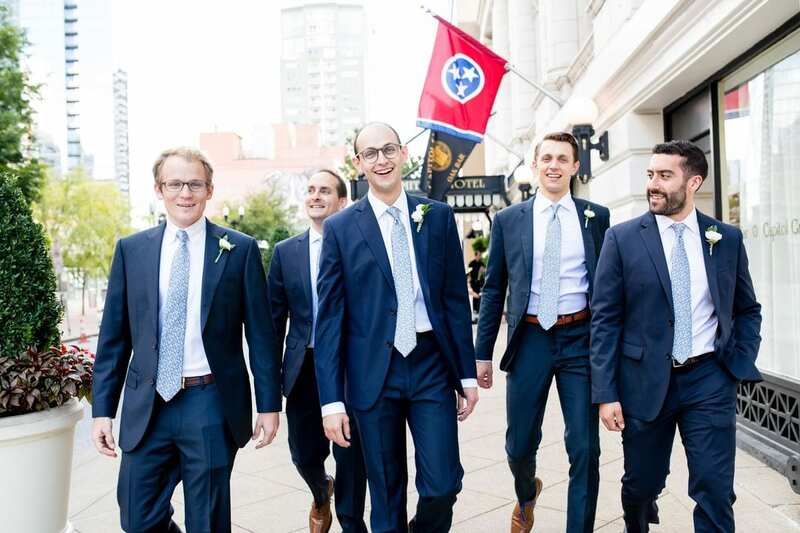 We swooned all day over the happy couple’s beautiful color combination of pastel blue, navy blue, and white. 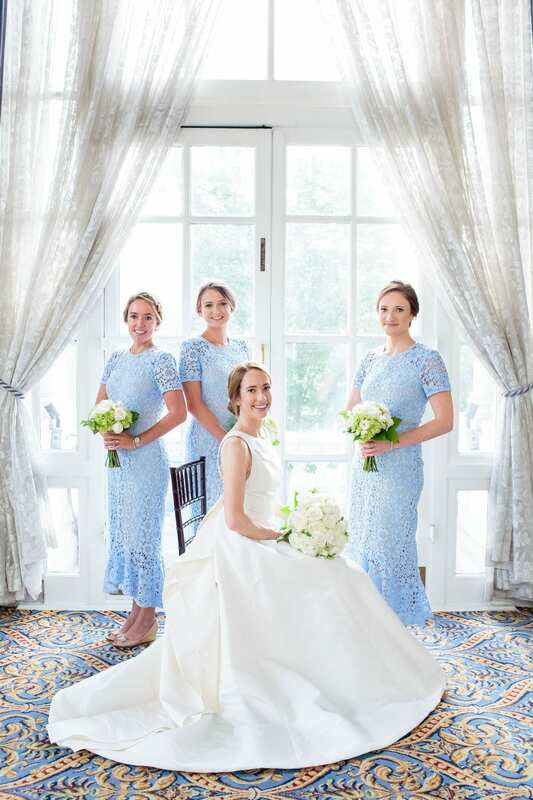 The bridesmaids donned pastel blue dresses made of lace, which coordinated perfectly with the groomsmen’s pastel blue ties. 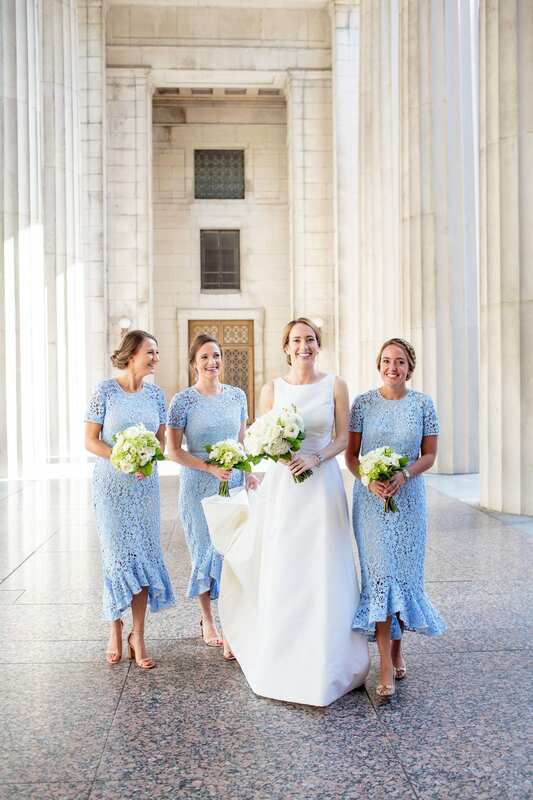 Our white florals created the perfect complement to the shades of blue. 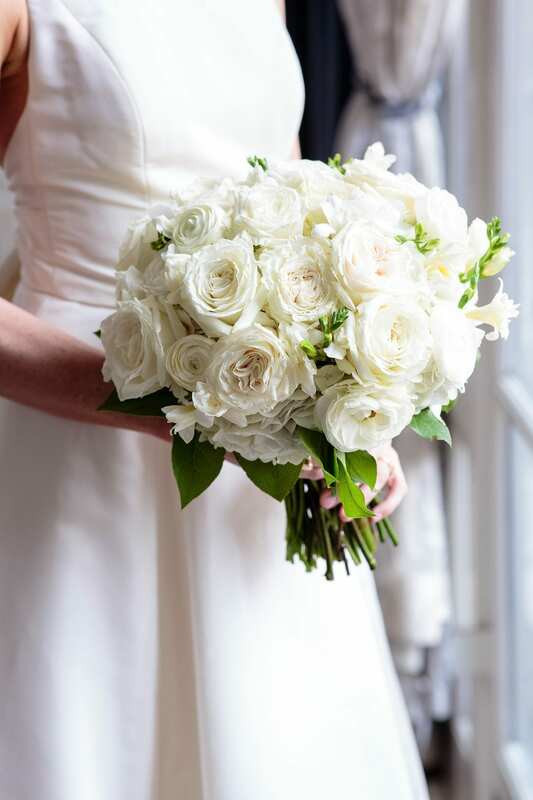 The bride, dressed in an elegant white gown, walked down the aisle carrying a stunning bouquet of white roses. 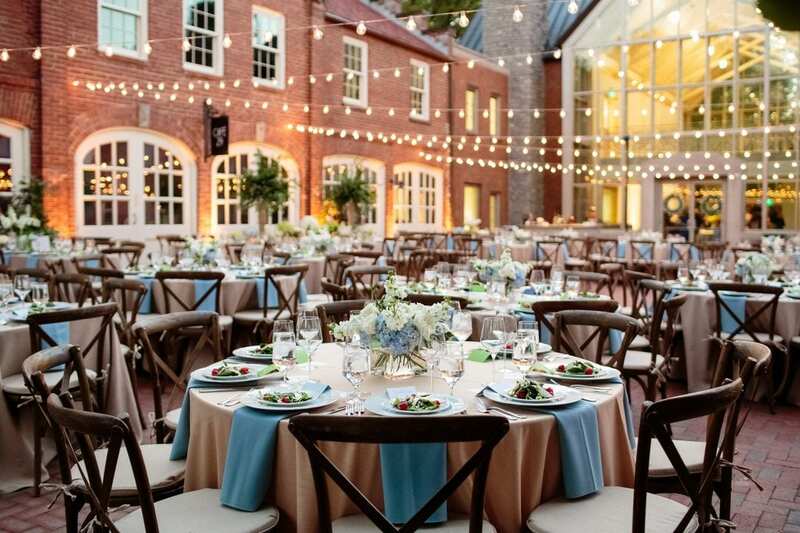 The wedding reception took place outdoors at Cheekwood Frist Courtyard under string lights. 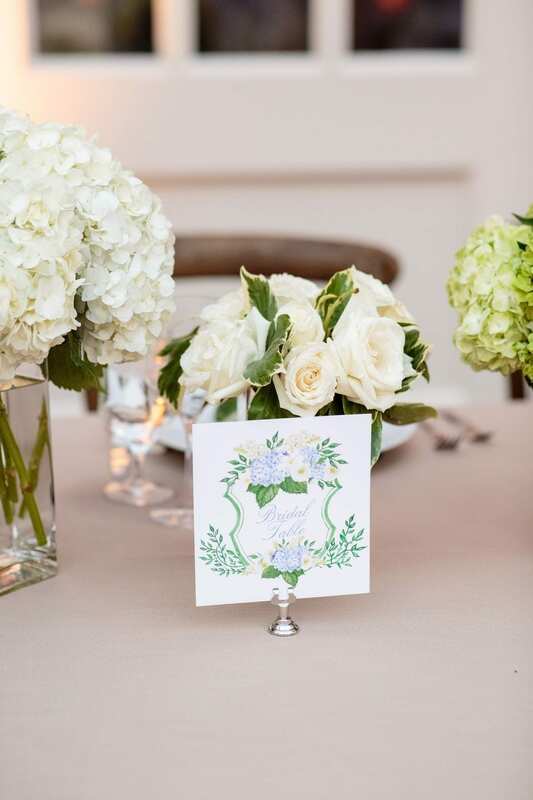 We created centerpieces for the guest tables with white roses and white hydrangeas – adding the perfect classic touch to the reception. 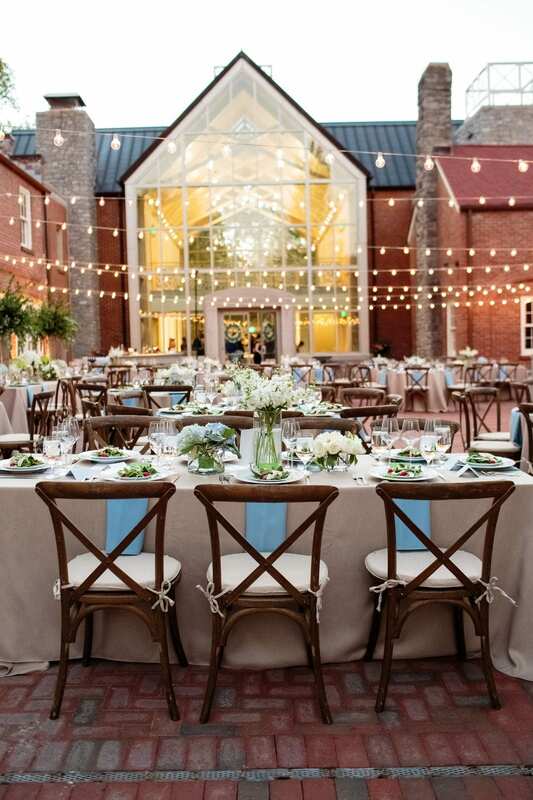 The mix of white roses, pastel blue linens, and cafe lights gave the reception a feel of regality, class and celebration. Guests celebrated and toasted the happily married couple until dusk. 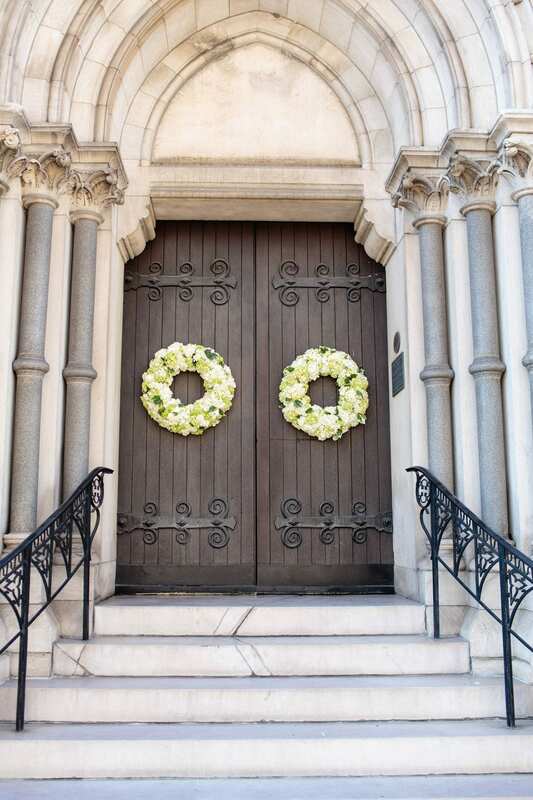 Thank you, Erin Lee Allender, for capturing this wedding perfectly. 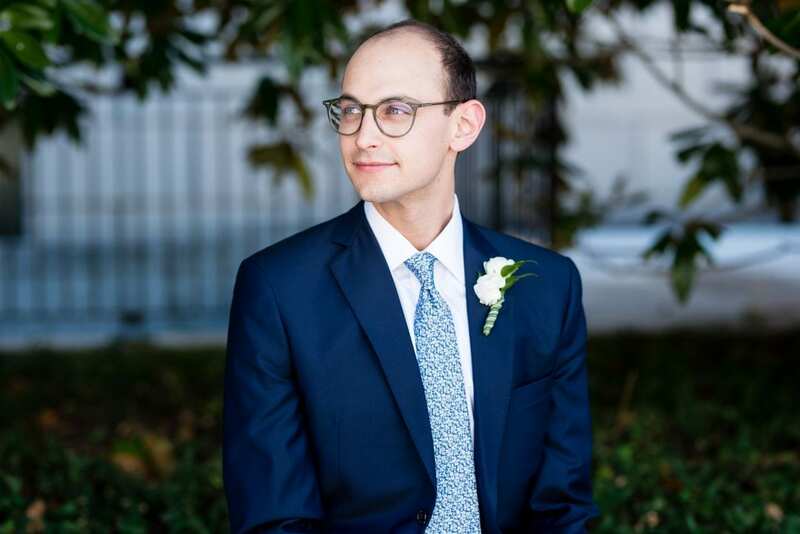 Congrats to our sweet couple! 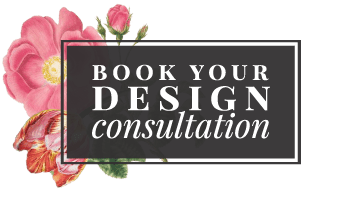 Planning your Big Day? We’d love to help! Email us at caprice@enchantedfloristtn.com.